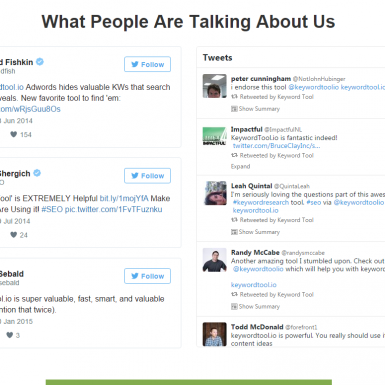 Many digital maketing and SEO experts list KeywordTool.io among their favorite and Top-3 must havetools. It belongs to the class of tools that work with the search engine’s autosuggestions – for this case, with Google Autocomplete. 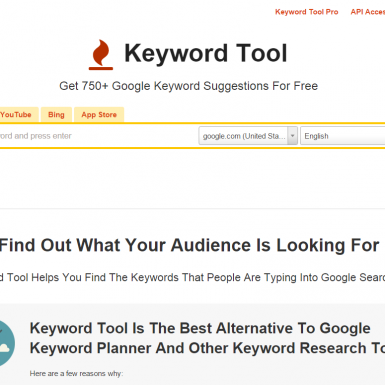 KeywordTool.io helps to generate more keyword ideas and discover variations of keywords. Pretty similar to Ubersuggest, but providing a search volume for keywords and more suggestions. 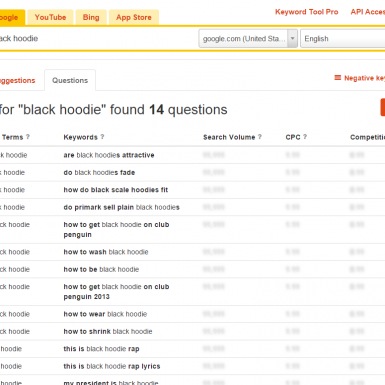 The tool is also a cool alternative to Google Keyword Planner. Adwords hides valuable keywords that search suggest reveals. Keyword Tool will uncover them for you. Super useful! International SEO: select from 192 Google domains and 83 Google language interfaces to generate keyword suggestions. The generated keywords will be relevant to the country that you are creating your content for. 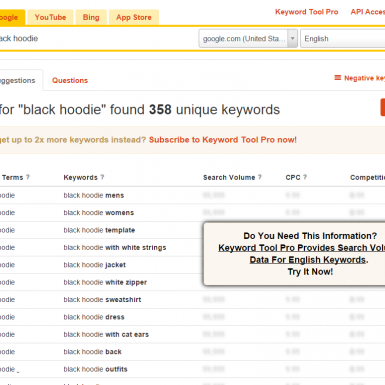 Best alternative to Google Keyword Planner: Uncover valuable keywords Adwords hides from you!